A traditional Mexican dish, menudo rojo is a spicy soup made with beef tripe. You either love it or hate it. Luckily, I grew up loving the red menudo my mom would make. I guess people are thrown off with the tripe ingredient. Makes them a little leery about the soup. Preparing homemade menudo in my family typically signifies a major celebration, whether it be a wedding, baptism, or to ring in the New Year. To me it also signified love. This year, I plan to make several batches and invite family and friends over to share in the love, especially after some of the bigger celebrations. Did I mention it is also good medicine for the crudo (hangover)? Menudo’s origins are firmly planted in peasant food heritage and poverty. According to research in pre-revolution Mexico, poverty among the campesinos was chronic and little if anything that might be prepared as food was left to waste. Usually, the best cuts of meat would go to the hacienda owners while the offal went to the poor workers. These leftovers consisted of organ meats, brains, head, tails, hooves, etc. Inventive peasant cooks created a soup that made good use of one of the major leftovers — the stomach. As cattle and sheep are ruminants that require lengthy intestinal tracts to digest their diet of grasses and raw seeds, the stomach is one of the largest pieces of offal available from these animals. Be warned. Like tamales, making menudo is time and labor intensive as the tripe takes hours to cook (or else it is extremely tough). I will typically start the evening before by cleaning and soaking the tripe. I can then place the tripe in a large stockpot and allow it to simmer all night long before adding any of the red chile sauce. A special note on my menudo recipe, besides making my own red chile I throw in a can of Las Palmas red chile sauce for good measure. I can already hear cooks scream blasphemy! You really don’t need it. I just remember my mom adding it to her menudo broth. I prefer a thicker menudo broth so the Las Palmas and added chicken stock rounds it out with a more robust flavor. Also, be generous with the oregano. Like any good soup, continue to taste along the way and adjust salt and other seasonings accordingly to make sure it has enough flavor. *Optional: 1 (28 oz) can of Las Palmas Red Chile sauce. I add this to round out the flavor of the chile after it has been blended and pushed through a sieve. 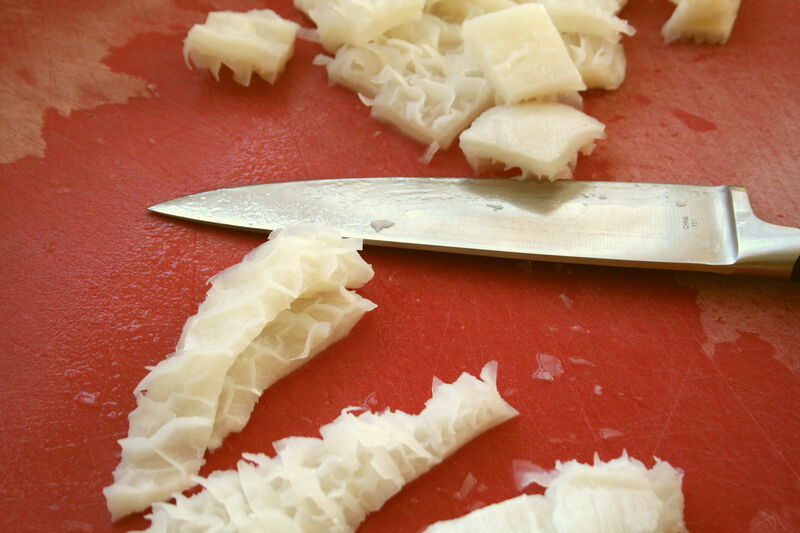 Whether you are buying honeycomb tripe or another type of beef tripe, you want to take the time to trim away the fat. No one likes a greasy or foul-smelling menudo. 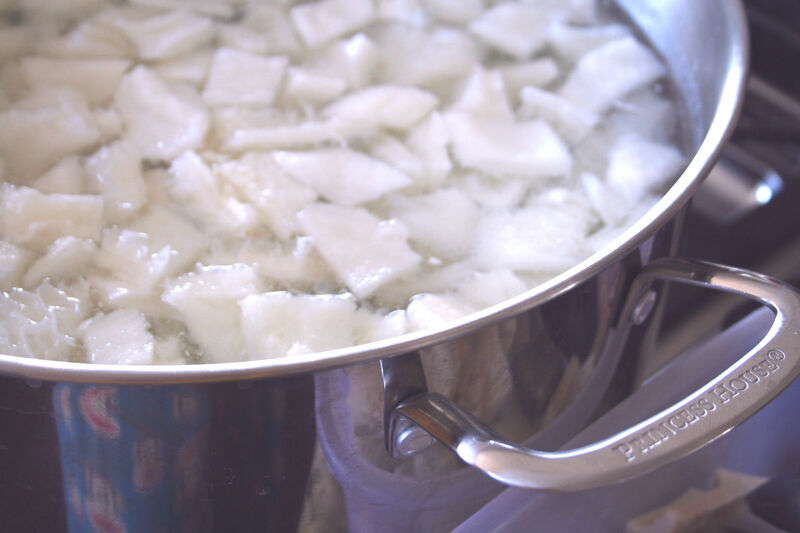 After you trim the fat, cut the tripe into one-inch pieces and place in a large stock pot of water to soak for two hours, changing the water out at the one hour mark. Remove the stems and seeds from the chiles and toast on a dry skillet for about 30 seconds or until fragrant. Pour enough water to cover, and allow to simmer at a low heat, soaking the chiles. Add one onion, halved and 3 cloves of peeled garlic. Allow to simmer for a good half hour. Remove the soaking chiles, onion and garlic from the water and place in a blender along with the cumin. Ladle about a cup of the simmering broth from the pot into the blender, and puree until very smooth. Add additional broth if necessary. 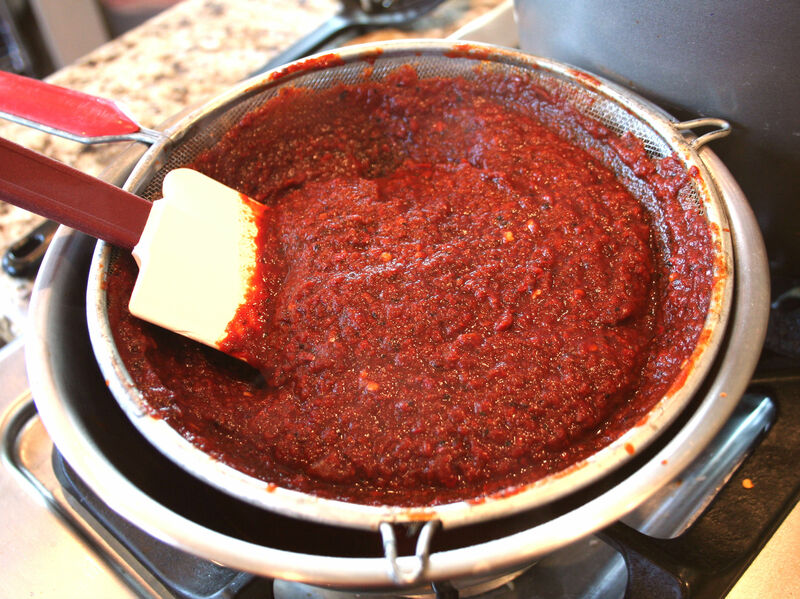 Push chile sauce through a sieve into a medium-sized bowl to remove seeds and any skin. Discard solids. Reserve chile sauce in the refrigerator until it is time to add to the menudo broth. Place the tripe, beef feet, onion, unpeeled garlic, peppercorns, salt, oregano, and water in a large stockpot or soup pot. Bring to a boil and reduce to a simmer. Allow to simmer uncovered for about 2 hours, or until the tripe and beef feet are tender but not too soft. Remove the unpeeled garlic. Add the hominy and pour chile puree, plus the can of Las Palmas Red Chile Sauce and chicken stock into the simmering pot and stir. Allow to cook for about 3 hours (or more) on a low simmer. Season with additional salt to taste. Serve in large bowls, with dried oregano, cut-up lime wedges, diced onions, chopped cilantro, and warm tortillas smothered with butter at the table for each guest to customize their own bowl. I grew up eating menudo (along with a tripe Italian dish). I make a batch of tripe and freeze it in batches so I can make either dish as I want. Of course nobody else eats it but I can’t tell you the number of times the butcher has requested a sample since not many folks use tripe. It’s ironic that it no longer is a cheap cut of meat. In my preparation I like to use a blend of dried chili’s for my Red Chili Sauce, (New Mexico, California, Guajillo) any combination of these from whatever is in my pantry,,, Lol 🙂 I love these flavors. And I’m one of those Eeeaking at the can of red sauce, Blasphemy! Lol. And you did mean to say BEEF Feet instead of Pigs Feet noted below the last picture under Cooking the Menudo, Correct? Armando — Thanks for the note! I also love to combine all of those chiles, including arbol for the heat. I use beef and pig feet, whichever happens to be available in the carniceria. More typical here in So Cal are the pigs’ feet. Buen Provecho, mi foodie amigo. How do you make yours? thanks, happy new year. Randy, please find our menudo recipe here on the blog. In the Search section, type in Menudo Rojo and it will come up. Good luck! I am going shopping today for our menudo ingredients to make for New Year’s Eve. I am making menudo right now as we speak. hehe. I was born and raised in San Antonio TX and now live in Florida. My husband does not like the actual Tripe but loves the rest of the ingredients and broth. So, I now make something I call A Fusion of Menudo and Posole. I make the menudo (with less amount of tripe, mostly for flavor) and add pork chunks. My husband loves the broth, hominy, patas and pork. I also add some masa harina to thicken the soup a bit. Also, I prepare the chili ancho (or whatever chile you want to use) ahead of time and freeze so that it is ready when I need it for whatever dish I want to prepare (pork rogue and enchilada sauce. Also, I don’t like the smell of the menudo cooking/boiling, so I add some chile ancho and spices to quell the smell. Glad I fund your blog. 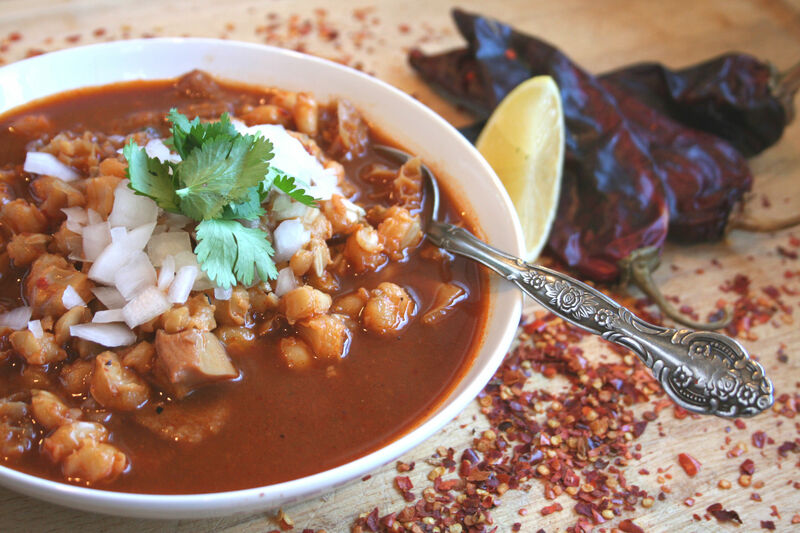 I love your idea for a fusion of Menudo and Posole. We have to give that a try one day soon. Glad you found our blog. Happy cooking!! Can you clarify the amount of hominy, is it 2 cans totaling 6.5 pounds or totaling 13 pounds? Sorry for the confusion. Thank you for the question. It is a total of 13 pounds (two large cans of white hominy about 6 1/2 pounds each). Hope this helps. Hi Terri — Glad to hear you enjoyed the menudo post. I haven’t cooked the patas in a separate pot before, but I wouldn’t see why not. I would only caution that it is some of the fat that gives flavor to the broth. You can always skim any fat/oil from the top of the menudo if you feel there is too much. Otherwise, I would boil them in a separate pot for about 30 minutes to remove most of the fat. Good luck!!! Let us know how it comes out. My dad was a butcher. He would cook the patas 1 hour before adding the nixtamal, an order hour. Fin ally he would add the tripe and cook for an additional 2 hours. This menudo recipe will easily feed at least 12 people. My dad would add “Gephardts” Chile powder in addition to the red chile’s. It is not cheating….just something you add to enhance the soup flavor. I can not wait to try this. I have been searching for a menudo recipe. I think I have found it. I will let you know how this turns out. Soooooooo supper excited. What do you do with the unpeeled garlic when or is it removed? Do you know how long to wait til we can refrigerate ? How long til it cools down to put in the refrigerator? Hi – It will take a few hours to cool down to put in the refrigerator. How do you know when the tripe is done? I’m concerned about Renee Gonzales’ post about the tripe cooking in 2 hours. I’m Nigerian, Mexican and Nigerian foods are 90% identical if you ask me. However, Nigerians like the tripe to be “al dente`” (if you will) as a finished product. Is this the texture I should try to acheive? Or should it be more tender? I use a pressure cooker for my tripe, hocks and/or pigs feet. 50 minutes at pressure and the meat is done, tender but still with a slightly chewy texture. This is as close to the florentine “al dente” texture of tripe as I have been able to achieve. What are the chile options we can use? I would use a mix of dried California, Guajillo, Ancho chile peppers with some heat adding a bit of chile de arbol. You can use a mixture of dried red chiles from Guajillo, New Mexico, California, Ancho, and others like chile de arbol. Buen provecho. how long can menudo stay out after cooking without refri. Keep your menudo on a very low heat until you have fed all of your guests. You definitely have to refrigerate it by cooling it down first. We break ours down into smaller batches to bring the temp down quicker. Remember, putting hot foods in the refrigerator will put your other food at risk. Hope this helps! Buen provecho. hi stephen, i’m wondering if you get send me some links about the history of menudo? there doesn’t seem to be too much information available online aside from wikipedia. i just learned how to make my abuela’s menudo and i’m writing an essay about it. 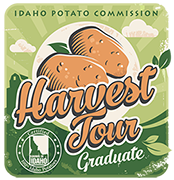 i’d appreciate any resources you could provide, especially about its peasant food origins. thanks in advance! Jene – Off hand, I don’t have any more information about the history of menudo, but can definitely do some research for you. I like it “espeso” as well! Thanks for the recipe. I’ve never added butter. I like mine with lots of lime and cilantro, but I’ll have to try the butter. Your recipe is close to what I use. I have leftover mole from our tamale-making and will be using the mole for our menudo. But I may add a can of LPRC to it! I’m a stickler for cleaning my menudo and removing all fat before cooking. Also, I do not like the smell of menudo wafting through my whole house. So…to prepare my menudo I rinse it and put it in the sink with lemon slices. While it is soaking in the sink with the lemon I get my soup pot filled with water and get the heat going on it. I also leave the menudo in the sink while I cut and remove any ‘foreign’ material and fat from the menudo. The lemon really cuts down on the smell and doesn’t make the menudo taste overly lemony. I too use pig feet and cook it separately. I don’t put the whole patas in it as they have little bones that can be mistaken for hominy and don’t want anyone to lose a tooth or crown! Thanks for your blog. Helen – What an excellent idea for cleaning the menudo and removing any foul odors. Will definitely need to try this method soon. Happy cooking! Buen provecho. I love Mole and I don’t know how to make it. Would someone share their amazing recipe with me. I don’t like the bottle ones at the store. Thank you so much. Marie – we have an award-winning mole sauce on our blog as well. But there are lots of good mole recipes out there. Enjoy experimenting. Stephen, I have to drive a long ways to get good fresh tripe. I was wondering if I could freeze a batch before preparing it? It would make my life easier to have some on hand like that. Thanks! Yes, you can definitely freeze tripe. We buy the dried Sandia chiles in Hatch. The “heat” is just about perfect for Menudo, enchiladas, tamales, etc. We use the rest of your recipe though. Good stuff. Thanks. That’s great Gerald. I’ll need to look for the dried Sandia chiles. Happy New Year! You’re welcome. Yes, I’ve used beef feet as well in my menudo. Both give excellent flavor, you just need to remember to skim off the fat from the broth as it cooks down. Happy cooking! What’s the difference between beef tripe and honeycomb tripe? On cleaning tripe use as spoon full of baking soda, this really cleans it perfectly. (a secret frrom grt.Grn.parents) Also I cook the menudo with oregano,garlic,etc on condiments I believe it flavors the menudo especially when served to youngster. I followed the recipe to the T! And it was AMAZINGGGGGGG!! It was my first time ever making menudo, I never even handled tripe in my life and omg I impressed everyone! I was called by a friend at 8am who told everyone to come over and eat menudo at 2pm but the person who was supposed to make it was too hungover to make it lol omg! I looked up your recipe and you SAVED me! I can’t say it enough it was soooo delicious better than my tia’s made it when I was growing up!! Thank you sooo much! I learned to make menudo from my compadre. Since so many object to the smell of the tripe cooking, he takes a big white onion and puts clove studs around it and places with the cooking tripe. It takes away the objectionable smell and your house smells good too. He also uses LPRC in his menudo as a final touch. He makes the best menudo around. last hour of cooking aside from the New Mexico chile I also use a little of the El Pato tomato sauce. I also use a small splash of Apple cider vinagre, Bay leaf and squeeze of lime during cooking for a more pleasant cooking odor. Hi I was wondering how many servings will this make? Also is it okay to use all honeycomb tripe or just beef tripe if I can’t get both. after cleaning the menudo i rinse it in a capful of vinegar. then i triple rinse it and as it is cooking there is no foul smell, but you can still have mild smell of menudo cooking. i also put a small bouquet of tomillo to the pot while cooking. Yes, I will put a few tablespoons of vinegar after cleaning the menudo and let it soak in cold water for a few hours and then rinse several times. Thanks for sharing. Last time I made this recipe it came out much more spicy than it should have. In order to safe it, I added a stick of butter to the mix and it toned it down to a more acceptable heat level and, I think, added a pleasant flavor and mouth feel to the finished product. I will continue to add butter from now on. Your recipe is very good. Butter? Interesting. Glad you liked the recipe. I’ve made this recipe twice and I love it I’m actually making it right now for Christmas eve. I love this recipe because it doesnt have that fat flavor most people leave on it. Thank you, Julissa. So glad you enjoy the recipe. We’re going to make it this weekend for New Year’s Eve. I smiled when I read that you use a can of Las Palmas, I too add it, no real reason why. Recently I’ve asked my butcher to slice the tripe in strips because it saves time when cutting it. It also allows me to check for and cut out any excess fat. When soaking, as someone previously mentioned, I add lemon and squeeze the juice, it brings out the fat and kills the smell. My butcher butcher always asks if I want the pata with or w/o skin, I opt for w/o, how about you? I cook it while cleaning the tripe, spoon off the foam then add it, along with the broth, to the tripe pot. Finally, because chile pods’ heat is inconsistent, I cheat, when necessary, by adding a little Sriracha, it has what is in the recipe so I don’t think it’s wrong, it just adds flavor! Thanks for the receta, it’s real! Now, do you have one for buñuelos? Happy New Year!! Hi,making this recipe right now. I did not see an answer to the question about the garlic. Do you squeeze the cooked garlic back into the broth? Thanks! No, I don’t squeeze the garlic back into the broth. I just allow the whole garlic flavor the water. 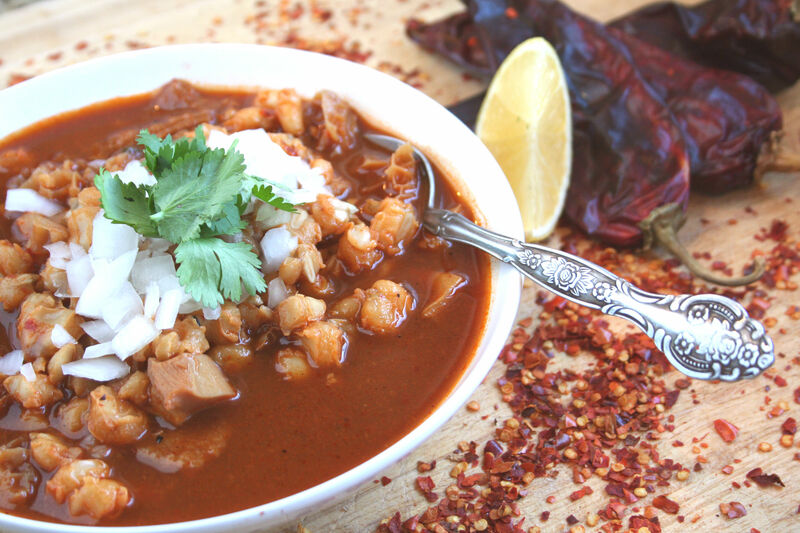 Although Menudo is typically what we call a hangover food, my mom used to make a big pot of this as an appetizer or on a cold Sunday, this was easily made into the main event. Paired with lime, cilatro and onions, this soup is one to try any day, and the Latino Foodie have a great recipe to try. Yes, it’s good throughout the year hangover or not! That’s for sure. Buen provecho!